The amount of Chinese stereotyping in this film borders on offensive. But it's so charming you can't help but fall in love. Right from the off, the visual impact of the introduction will grab your attention. The hand-drawn style imitates traditional Chinese shadow puppetry and modern Asian anime for stunning effect. This continues with the film proper, spectacular backdrops of mountains coated with cherry blossoms, haloed with swirling clouds. The world is filled with anthropomorphic animals, all typical residents of China - tigers, monkeys, cranes and pigs - yet voiced by an array of American talent, from Dustin Hoffman, to Angelina Jolie and Seth Rogen. Central to this is Po, our protagonist panda. In a bizarre twist of fate, the noodle selling panda is chosen to become the dragon warrior, to protect the land from the evil Tai Lung. The plot takes inspiration from a number of martial arts films as Po learns the art of kung fu to fulfill his destiny. Comedy is rife, but largely slapstick - the script offers little innuendo for the more mature viewer. But this is a children's film after all and will undoubtedly appeal to the kid in all of us. The only problem is with Po himself. 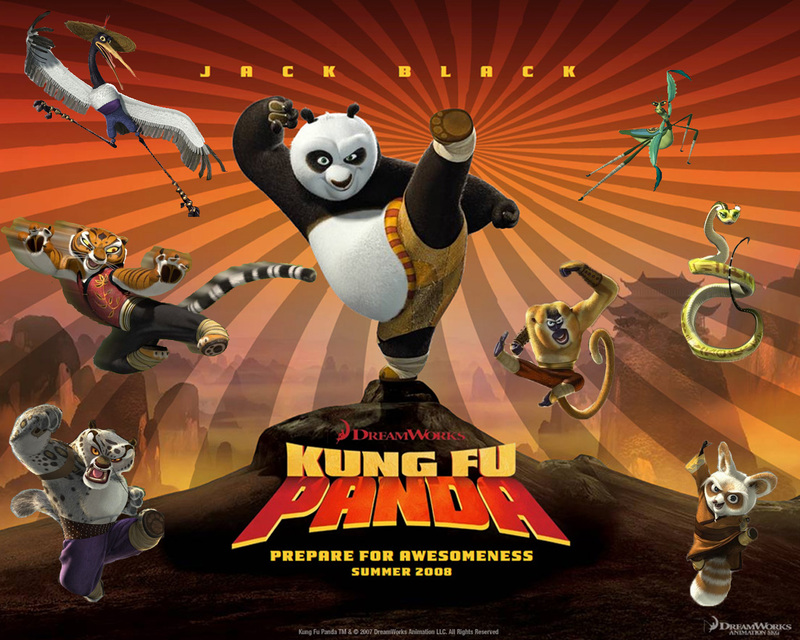 Jack Black is completely typecast and his "total awesomeness" grates quickly, jarring with the Asian context. Sure, the plot, visuals and music are derivative of Chinese culture, but the film as a whole is so fun you'll be grinning from ear to ear. The sequel, out this month, never registered on my radar. Now I can't wait.